Since 1901, awards for excellence in chemistry, physics and physiology or medicine have been bestowed on some of the greatest minds on the planet, but who have been taking home the coveted awards in the sciences this year and why? On Monday the 2011 Nobel Prize in Physiology or Medicine was awarded to both Bruce A. Beutler, Jules A. Hoffmann and Ralph M. Steinman. The three were all involved in furthering our understanding of how our body fights infection. Beutler and Hoffman discovered how the body's first line of defence was activated while Steinman discovered the dendritic cell, which helps defeat infection. Yesterday the 2011 Nobel Prize in Physics was awarded "for the discovery of the accelerating expansion of the Universe through observations of distant supernovae" with one half to Saul Perlmutter and the other half jointly to Brian P. Schmidt and Adam G. Riess. The three scientists studied what are called Type 1a supernovae, determining that more distant objects seem to move faster. Their observations suggest that not only is the Universe expanding, its expansion is relentlessly speeding up. And today, the 2011 Nobel Prize in Chemistry is awarded to Daniel Shechtman for the discovery of quasicrystals (pictured above) - strange and elusive crystals with a structure thought once to be impossible. The discovery was highly controversial and provoked seriously debate when first reported on - causing him to be kicked out of his research group. 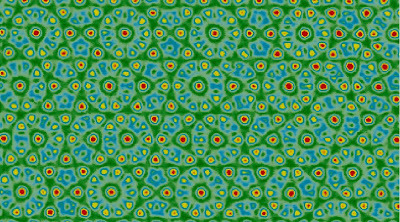 Quasicrystals was made up of perfectly ordered, but never repeating, units - unlike all other crystals that are regular and precisely repeating. Quasicrystals have since been found in nature (a lake in Russia) and can now be produced in laboratories far more readily. Indeed, a Swedish company has found them in one of the most durable kinds of steel, which is now used in products such as razor blades and thin needles made specifically for eye surgery. 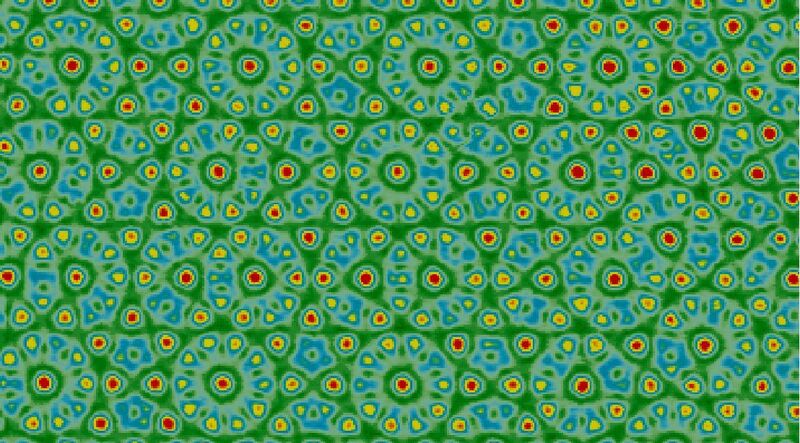 Scientists are also experimenting with using quasicrystals in coatings for frying pans, heat insulation in engines, diesel engines and in light-emitting devices, or LEDs. All three prizes winners will receive approximately €1.5 million when they receive their awards in December.